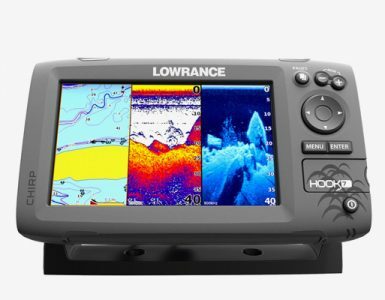 The Lowrance Hook 5 is a fish finder which is the more upgraded version of the Lowrance Elite 5 HDI. Combining the benefits of CHIRP Sonar and DownScan Imaging technology, it gives you a complete and clear view of the environment under water. 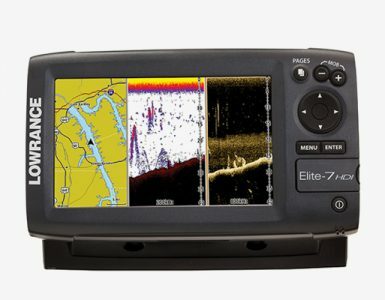 Featuring crystal clear 5-inch screen with sharp 800×480 resolutions through which you can view the traditional SONAR, DownScan SONAR, and GPS charts easily. It contains increased sonar sensitivity, extremely good target separation, and higher noise rejection, making it more reliable and easy to use. Moreover, it offers extensive color spectrum for its display providing a picture of much better quality. It has one of the most highly accurate, built-in GPS antennas, which is loaded with a detailed map of the US featuring more than 3000 lakes and rivers and also coastal contours to 1000 feet. 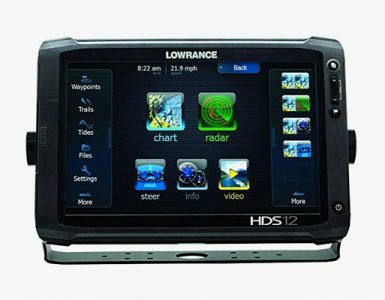 One of the most important facts about the Lowrance HOOK 5 Ice Machine unit is that it is a lot cheaper than the previous versions. Without a doubt it is exactly what you need and the most reliable and easy to use fish finder/chartplotter you will ever find. As stated before it has high resolution and color display. Chirp Sonar plus Downscan imaging the power of today’s leading fishfinder technologies are combined to give a complete and clear view of the environment beneath the water. It contains highly accurate, built-in GPS antenna with detailed US map featuring more than 3000 lakes, rivers and coastal contours to 1000 feet. It features an NMEA 0183 port, a card reader with one microSD card slot regarding connectivity. The Advanced Signal Processing is used to filter out the unwanted noise, such as water conditions, boat pumps, the engine ignition systems and others. The convenient Page selector menu allows quick access to all the features of the unit with a one-thumb operation. It may take a while to learn how to use it and install. 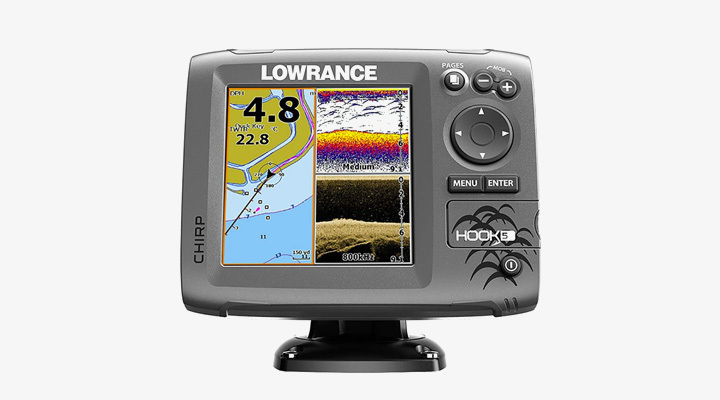 If you are looking for the best fish finder or Chartplotter unit with CHIRP, Downview Sonar, and accurate GPS then Lowrance Hook 5 is something you should invest in.